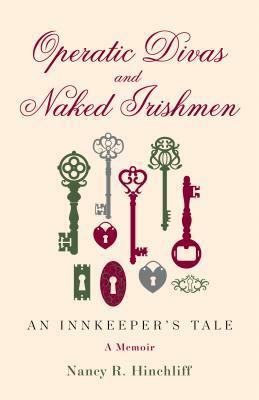 Enter to win one of ten signed copies of Operatic Divas and Naked Irishmen: An Innkeeper's Tale. "At the age of 64 with no business experience and very little start-up money, the author buys a turn-of-the-century mansion in Louisville, Kentucky on a whim and turns it into a charming Victorian Inn. Through sheer tenacity, she learns the business while coping with one mishap after another. The reader is drawn into this humorous and engaging tale as the author wields her way around cantankerous contractors, harrowing housekeepers, and no shortage of strange and interesting guests and events. A personal, in-depth, and honest look at what it’s like to be an inn keeper."